I have a great studio space and I am very happy to offer "One on One" tuition to students who want intensive specialised work tailored to their particular needs. 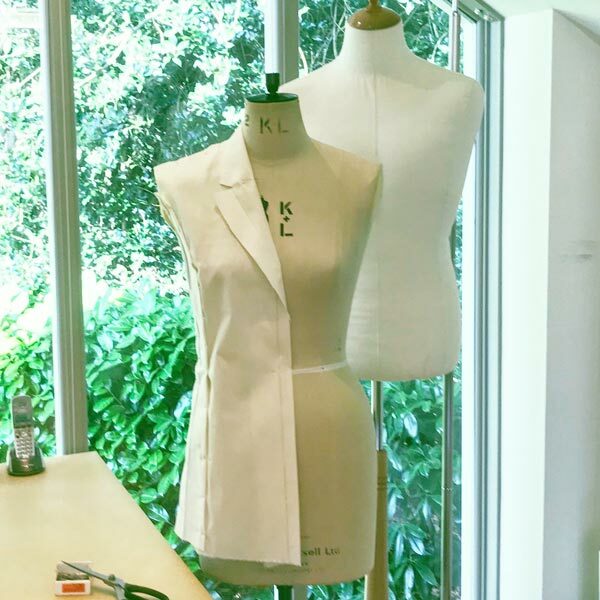 It could be draping on the stand, either dresses or tailoring or both. It could be working on the bias or particular hand sewing skills. It could be problem solving on a garment or project that is proving difficult to complete, I am very happy to work with students to give them the personal attention they want and to cover exactly what they want to work on. There are various hotels and B&B in the village in which to stay, should an over-night stay be appropriate, why not make a short break of it and enjoy the New Forest for a few days.